How can starting the day with a cup of coffee get any better? Adding in anything to do with Star Wars, that’s how. So here is a list of some of the best Star Wars gifts for the coffee lover in your life. You’re welcome. The Chewbacca Travel Mug is a great Star Wars Gift for that Chewy fan. It is covered in soft brown fur, makes the iconic Chewbacca sounds. This Lightsaber Star Wars Mug changes with when you add hot water. Just pour in the Force (coffee), and the blades appear! If you pledge loyalty to the Dark Side and you’re not ashamed to show it, you’ll love this Darth Roast Coffee Mug. 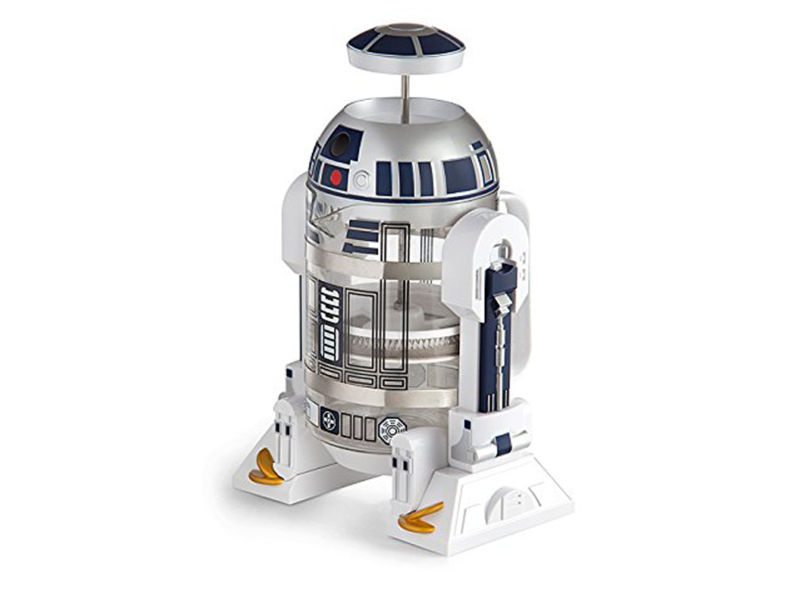 R2-D2 fans everywhere will love this coffee press. The only thing better than French pressed coffee is coffee pressed through your favorite droid. Know someone who is into the mechanics of Star Wars vehicles and who loves their morning brew? This AT-AT Walker Patent Star Wars Mug would make a perfect geek gift. Coffee lover? Star Wars Fanatic? The perfect artwork for your kitchen wall is right here. “May The Froth Be With You” print makes the ideal Star Wars Gift. The Star Wars Death Star, so evil, and so cool! The Star Wars Death Star Heat Change Mug will make your morning cup of coffee so much more exciting. Pour in the coffee and see the death ray in action. Who doesn’t love Yoda? Cute as a button, wise as a sage, fierce as a badger, and here warm as a cozy, coffee cozy to be exact. Want to tell a Star Wars Fan how much you appreciate them? 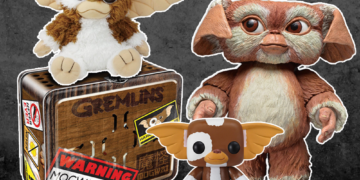 Why not give them a “Yoda Best!” coffee mug or one of the cool Yoda Shirts that say “Yoda Man”. What’s there not to like about Star Wars? It introduced Han and Chewy, and it plays in space. This makes Star Wars Mugs perfect astronomy gifts. Add some hot coffee and you’ll move through the day at lightspeed. Need to channel that inner warrior? This Kylo Ren Mug is the perfect way to start the day for all Star Wars fans. Like your Force one cup at a time? Display your affinity to the dark side, and coffee, with this Star Wars Keurig Storm Trooper cup holder. Have a young Star Wars fan in your life, or maybe just a Chewbacca lover? This Star Wars Pop Chewbacca ceramic mug will win the heart of both. This mug shows the lovable side of Chewy, all brown fur and big eyes. Are you a drawn to the dark side? Or maybe you just want to intimidate your co-workers? This Star Wars Darth Vader Sculpted Ceramic Mug would make a statement. This R2-D2 mug holds 20 ounces of coffee and has a handle and lid! Is anything else really worth mentioning? Bring your dark side into the light with this Darth Vader shirt. This makes a great Star Wars gift for any Vader fan. This set of nesting coffee mugs are a MUST for any Star Wars fan who wants to entertain a few friends. And by entertain, I mean show off these mugs. This long sleeve t-shirt comes in four colors. Pick one and show those rebels who makes the best coffee. This ceramic Star Wars Mug featuring BB-8 will give you that kick in the shins you need to start your day. Get rolling. The Force is strong with this one. So bring it with you on your daily commute in this mug. This mug is a great souvenir straight from Kashykk…or Disney. But who can tell? This mug is one of the coolest Princess Leia gifts and holds 12 ounces of beautiful coffee goodness with 2 handles for minimal spillage. All you need now are some buns…cinnamon buns. This mug holds 18 ounces and has a lid, which doubles as BB-8’s head. Hot liquid makes the control panel visible, but that’s our secret. Insulated to keep coffee hot, this mug holds 16 ounces, the exact amount needed to activate the Force within. Use it wisely. R2-D2, here in mug form, holds approximately 18 ounces of coffee. Even droids understand the need for coffee. 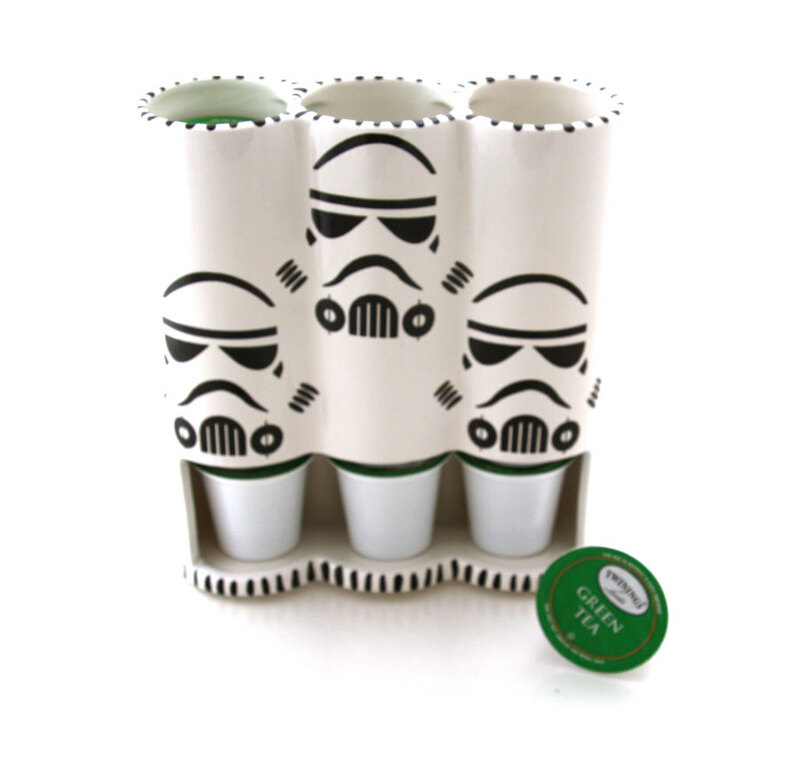 A nice Star Wars gift for any coffee-loving member of the Imperial Army…or member of the daily grind. Don’t take on the day without this mug in tow. WANT A FREE ROBOT? Join the 3,000+ geeks who get our weekly newsletter for your chance to win. By entering your email you agree to our Rules. You can unsubscribe anytime. 16 Yoda Shirts That Prove That He Knows What. Is. UP! We are a participant in the Amazon Services LLC Associates Program, an affiliate advertising program designed to provide a means for us to earn fees by linking to Amazon.com and affiliated sites. DiscoverGeek.com is not associated, authorized by, endorsed by, or in any way connected to the brands and companies mentioned on this website. All trademarks, copyrights, and other rights are the property of their respective owners. We keep track of Comic-Cons near you! Enter your email and state below to receive a reminder in time for the next convention.